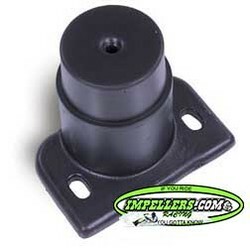 Our Heavy Duty Sea Doo motor mount designed for heavy duty applications such as increased horsepower, rough water and ocean riding. 27-7322R REAR mount fits 800/951/950cc 1996-97 GTX XP, XPDI 03-04 XPLtd 98-99, RXX 01, RX DI 00-03, LRV, GTX RFI 98-02 GTX LTD 98-99 270-000-220 270000220. 27-7323F Front Mount GTX 4-TEC, RXP RXT. 27-7323R Rear Mount GTI 4-TEC GTX 4-TEC RXP RXT. 27-7324F Front XP 00-02 XP DI 03-04 XP Ltd 98-99. Boats contact us for aplication.